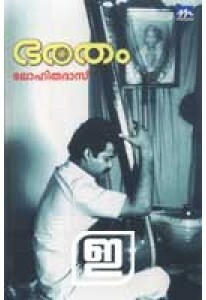 Screen play of the famous film Bharatham by penned by Lohithadas and directed by Siby Malayilm, starring Mohanlal, Nedumudi Venu, Urvasi etc. It is one of the best screenplays by Lohithadas and it has won him many recognitions. The book also has some snaps from the movie and a brief study by Jayan Sivapuram.